Aquafarmer has commenced a joint venture with Coral Coast Mariculture (CCM) to expand and capitalise on aquafarmer applications as displayed on this web-site. This exciting news represents a G.O. golden opportunity for sustainable high return on investment aquafarming. You can be a significant part in that success. And, you are personally invited to come and check it all out. The CCM site has been chosen for its unique and pristine location as well as the world class Japanese design. CCM is currently valued at approximately $5,000,000 and those land assets under pin security for all investors. Small and large scale investment opportunities are now available to finalise the development of commercial aquafarming applications as show below. Live coral trout are currently exported from Australia with a value of $120 per kg. That figure equates to several million dollars annually and CCM is well located and has the Asian export connections already in place. This is a huge opportunity to become involved in not only the export but breeding and culture work as well. 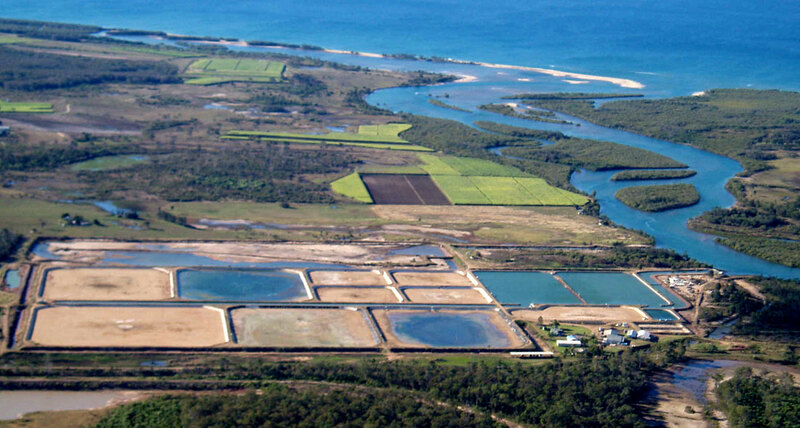 This venture will provide a sustainable protein production fish food for barramundi and coral trout. The current market demand is approximately $1,000,000 in short fall of export product. Our Barramundi breeding program has already commenced. CCM and Aquafarmer have commenced the first commercial whiting culture system in Australia. The farm is currently stocked with over 500,000 fingerlings produced on-site. The market value @ $10/kg is just over $1,00,000. The hatchery will be run as an independent facility and operate all year round covering many species. We intend to become the major supplier of Australian Bass fingerlings into Queensland and NSW. Recent up-date work has proven the enormous potential for oyster cultivation on this site using aquafarmer technique. The results have been proven at $6,000,000, gross, per Ha. Aquafarmer now requires the capital to go forward and investment shares in the joint venture are now available for your perusal. Ladies and Gentlemen, Aquafarmer and CCM offer a simple investment opportunity, secured in real estate and driven by cutting edge technology. As you can examine from the Aquafarmer web site, programs have already commenced for world wide sub-lease of aquafarmer design applications worth over 2 million dollars per site per annum under full production. And that is a simple beginning. Our expansion requires financial support now to achieve Critical Mass. If aquafarming is your passion you have a golden opportunity for adequate return investment in a multi million dollar development.